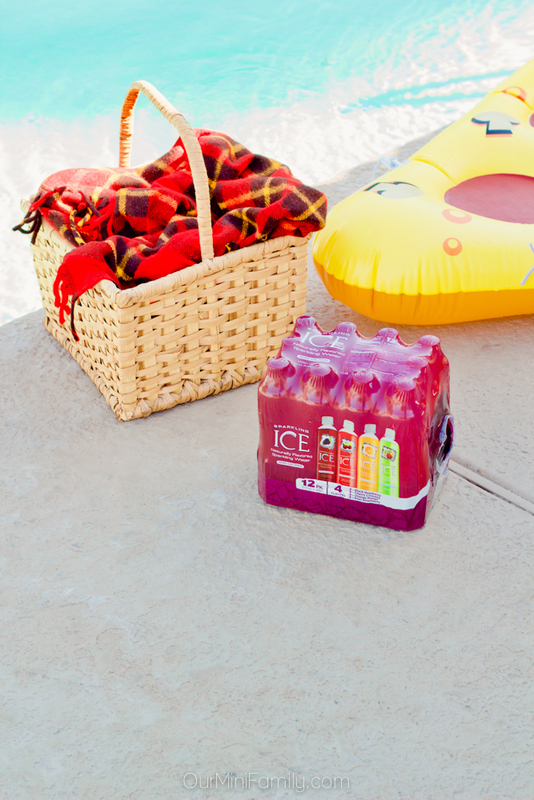 This last-minute, summer pool party essentials tutorial post is sponsored by my friends with Sparkling Ice, but the content and opinions expressed here are all my own. 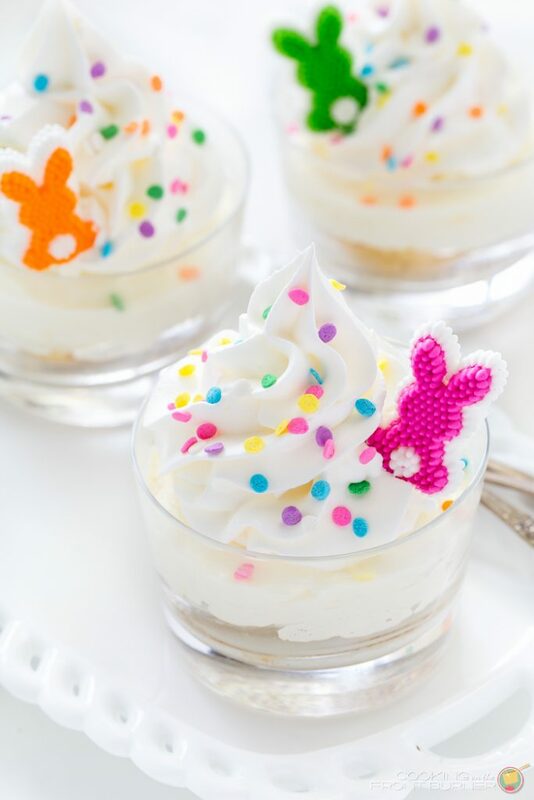 Save this summer party tutorial to Pinterest for when you'll need it, or share it now with a friend on Facebook! Got a case of that "summertime sadness?" Say no more! 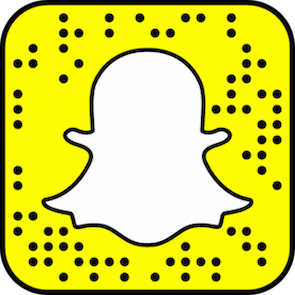 What you need is a pool party, and yes, it can be done quickly, easily, and within a reasonable budget. 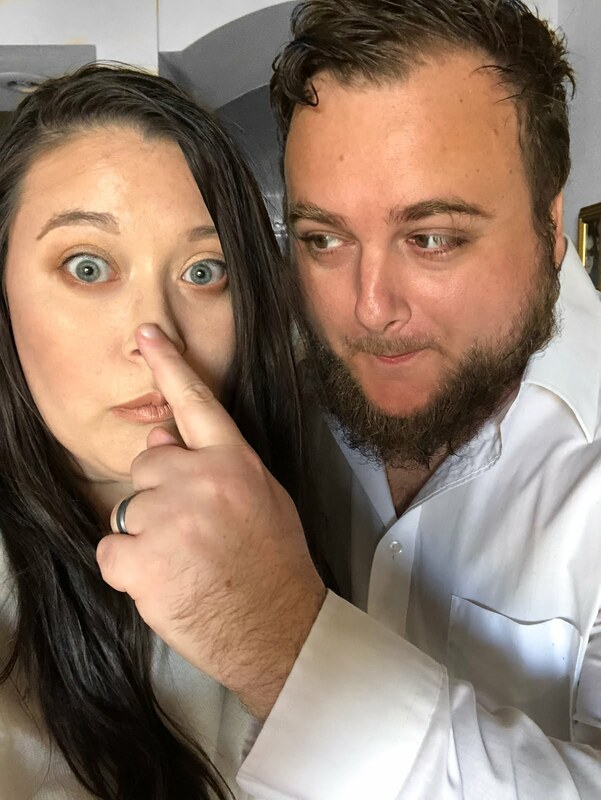 But maybe you're thinking, "I'm not creative enough to throw a good party" or even "who has the time to plan something like this?" Listen, it's pretty simple. I promise! You've just got to commit to a day, time, and invite some people over. 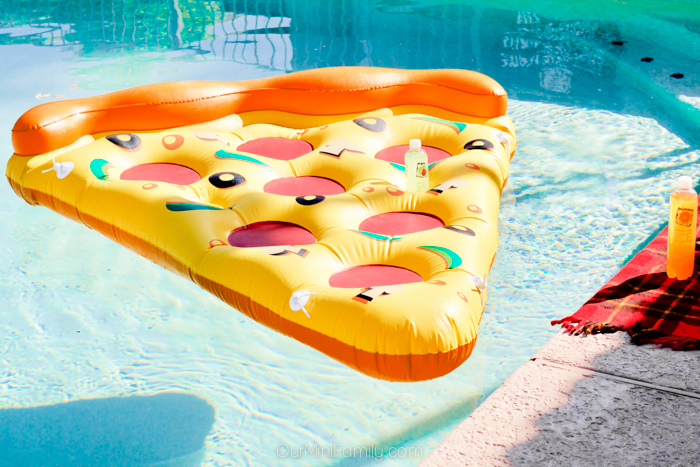 From there, all you need are some basic pool party essentials. And that's where I've got you covered! 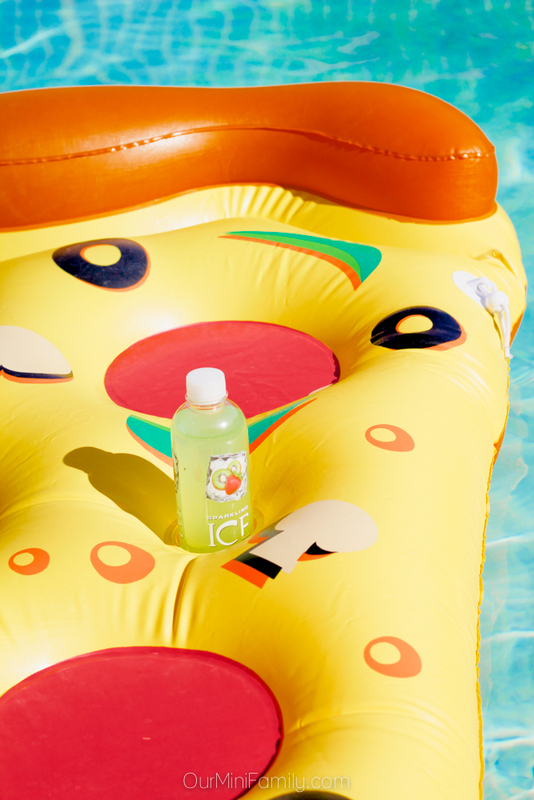 If you don't have an Instagram-worthy pool float, is it even a pool party? Be sure to stock up on finger foods everyone will enjoy that has substance enough to help counteract any poolside cocktails (nothing is worse, or even more unsafe, than feeling the spins sitting under the sun). Opt for snacks that can easily be covered and stored in coolers or covered containers, so you can keep your food fresh and chilled. 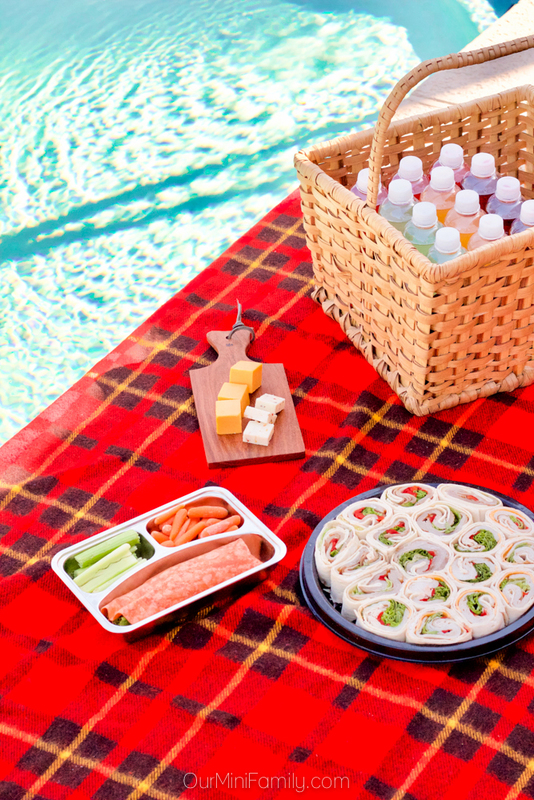 We always like to have turkey and cheese pinwheels, cheese, and fruits on hand for our last-minute get togethers by the pool. #2 Drinks on Drinks on Drinks! Stay hydrated in and out of the water with refreshing, chilled drinks! Adam and I like to stock up on juices and sodas, and before we head to the pool we fill them 1/4 of the way with our favorite liquor to make our very own on-the-go, plastic bottle cocktails that are poolside friendly! Be sure to stock up on drinks everyone can enjoy without having to feel the guilt, too! Sparkling Ice is perfect for your pool party--it has zero points on Weight Watchers, tastes refreshing, and is a great mixer for your poolside cocktails! And don't worry, you can pick up a case of Sparkling Ice through Amazon Prime Now for your last minute pool party too! Dust off your bluetooth speaker and take a quick look at the thousands of already pre-made playlists perfect for a pool party on apps like Spotify, Soundcloud, iHeartRadio, or Pandora. Having music at the pool will help get the party going--if your crowd is more into chilling out and keeping it low-key on a Sunday afternoon, there are some great indie pop or even down country playlists. Or maybe if it's Friday and your squad's ready to get turnt for the weekend, you can find some sweet EDM playlists to get the party going! 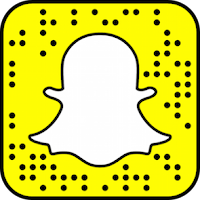 Let's face it--if we can't post about it on Snapchat or Instagram, is there even a point of going to a pool party if we can't give our friends who are at work extreme FOMO? If you have time, you can throw together a cute photo backdrop using streamers and wooden letters from your local craft store. But if you're on a really tight deadline, fire up your Amazon Prime Now app and buy a rad pool float! 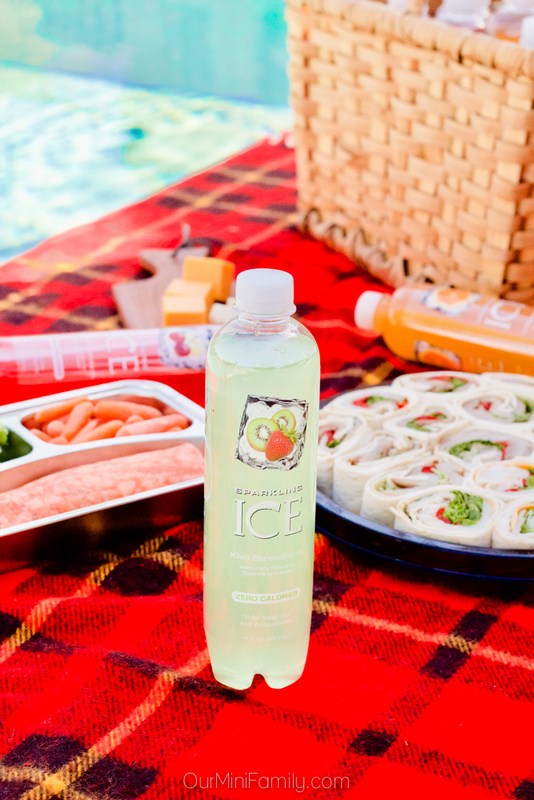 Thanks to my friends at Sparkling Ice for sponsoring my pool party essentials post today! I love your photos! 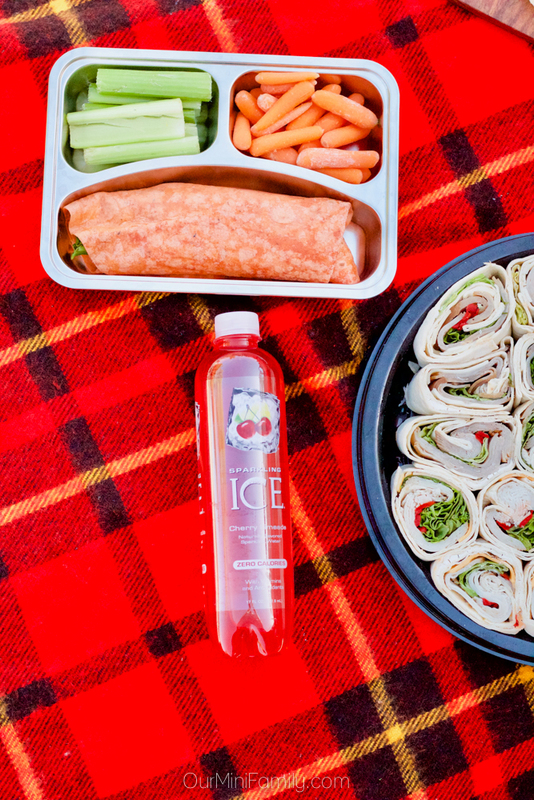 Looks like such a relaxing picnic. I need to go and do apicnic having nice weather here in Kentucky!